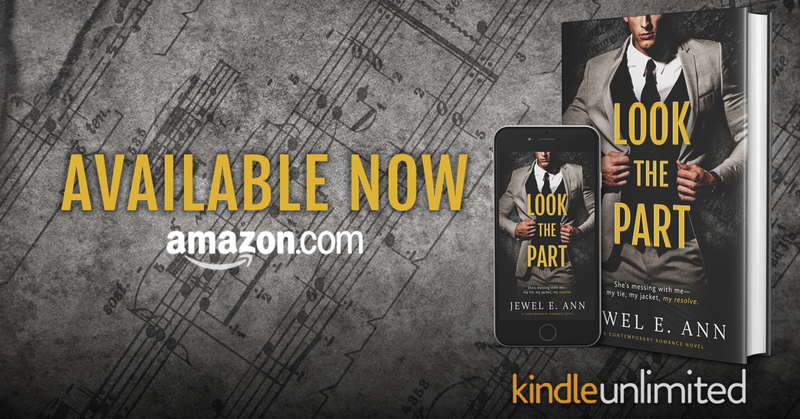 Look the Part, an all-new “emotional and breathtaking” standalone from Jewel E. Ann is available NOW! And you're the first breath of oxygen that's touched my lungs in ten years, he whispers in my ear. 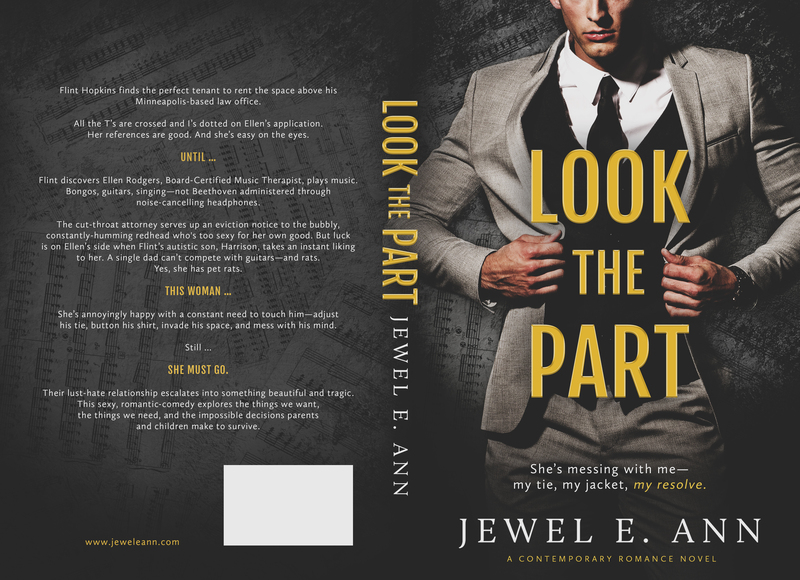 Look the Part is the third book I read by Jewel E. Ann. 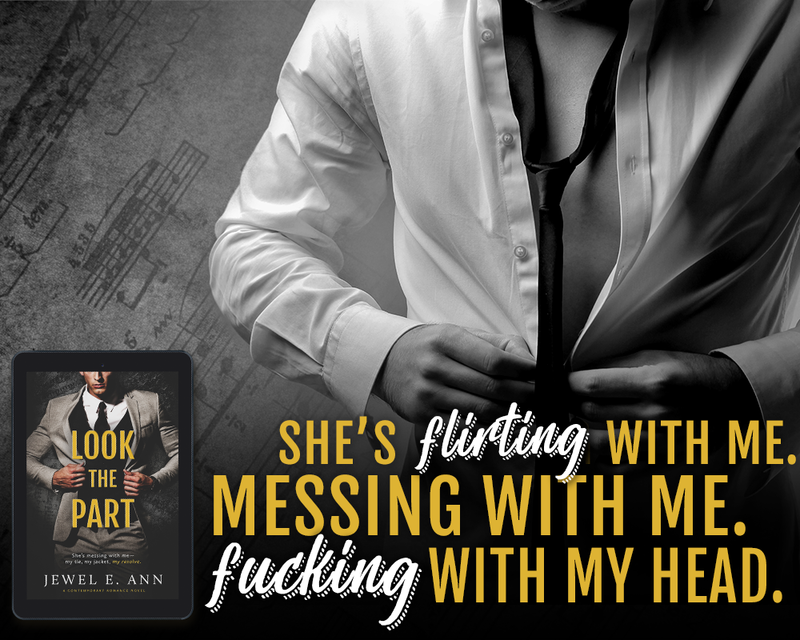 Just like with the previous two, the author has created such great characters in this book. Opposites attract seems like a perfect way to categorize the relationship between Ellen and Flint. Ellen is super out-going, sweet, sassy and uplifting. Flint is withdrawn, stubborn, headstrong and wants everything to go his way. When these two meet each other for the first time, I just knew their interactions would be full of banter and that each of them would try to out smart the other. I loved Ellen so much. She was such a fun character and I enjoyed seeing her going against Flint. I also loved her profession as Music Therapist, because it fit her personality perfectly. Plus she has pet RATS (SO AWESOME!). Flint is a Lawyer, and he certainly acted like your typical Lawyer. I want to be his greatest strength- and his greatest weakness. I want to be where he hides his lies and finds his truth. There is also Harrison, Flint's autistic son, and I will guarantee you guys that he will steal the show many times. His straight forwardness and speaking without a filter resulted into such awkward and embarrassing moments for Ellen and Flint. It seriously had me laughing out loud a couple of times. I especially loved the interaction between Ellen and Harrison, and also him and her pet rats. This friendship drove Flint crazy which I loved. There is also a very strong attraction between Ellen and Flint, and when these two came together it was very explosive. Of course not everything is light and fun, because both of these characters have gone through some things in their pasts and are still struggling with it. Especially Flint has a lot of feelings of guilt and doesn't think he deserves to be happy and find love. However, he can't resist wanting Ellen and building a family with her. If you want to know more then make sure you pick this book up. It was such a fun and awesome book, with a couple of emotional scenes. 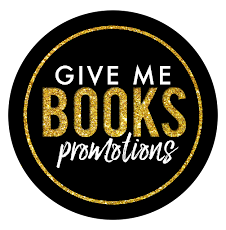 It's another great book by Jewel E. Ann, and with each book I read by her I get the urge to binge on all her other books. This author comes up with the most refreshing stories/characters and I just can't get enough of it. 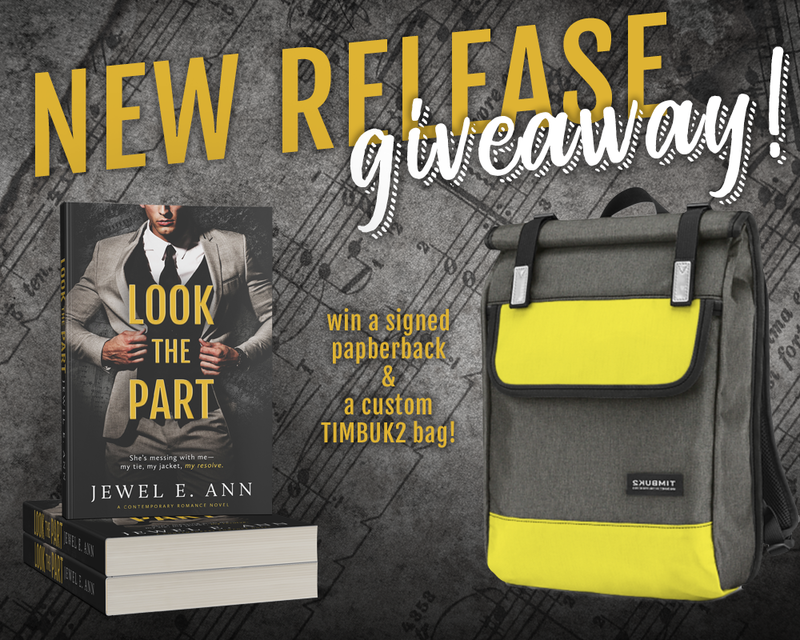 Look the Part is a phenomenal contemporary romance and I highly recommend it to everyone.